Over the years it seems that publications of magazines were a dying breed, with everything heading online. Magazines that have survived the digital age seem to be dominated by adverts and have content that appears to be predominantly driven by sales. Thankfully in the past year or so a new wave of magazines with positive and meaningful content have stepped into fill the breach and it has gladdened my heart to see a resurgence in hard copy magazines again. While the most dominating mainstream magazines may still be heading down the digital route, there has been a boom in hard copy magazines focused on wellness, mindfulness and lifestyle. I've been keeping a keen eye on these as they pop up and have been eagerly working my way through exploring them. One particular magazine that I was really drawn to and have found a thought provoking and educating read is In The Moment Magazine. 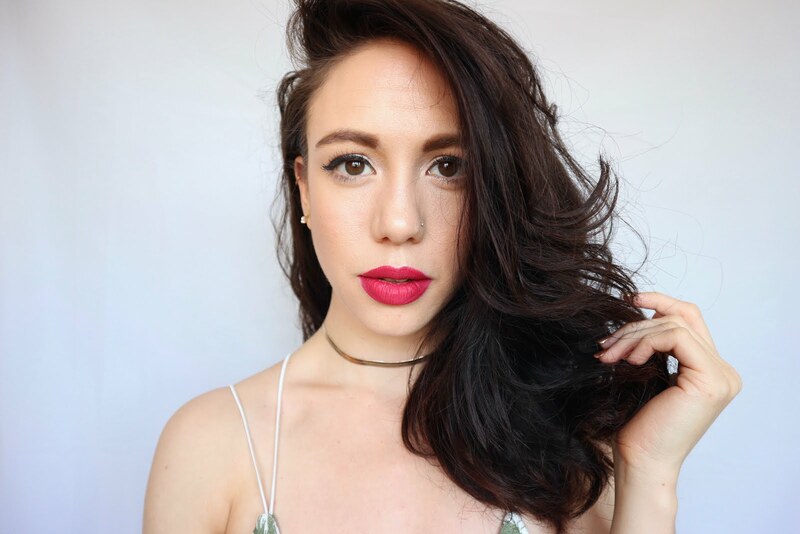 In The Moment Magazine is a positive and educative lifestyle magazine that focuses heavily on mindfulness, creativity and inspiration for women. Released on a monthly basis, each issue is packed with the most interesting stories, projects, initiatives and columns from experts. Topics cover everything from mental health, physical health, travel, culture and every aspect of a woman's life. It is wonderful how varied the content is and more often than not I find myself grabbing my phone or laptop to google a topic further or check out a recommended site or initiative after reading a column or article. 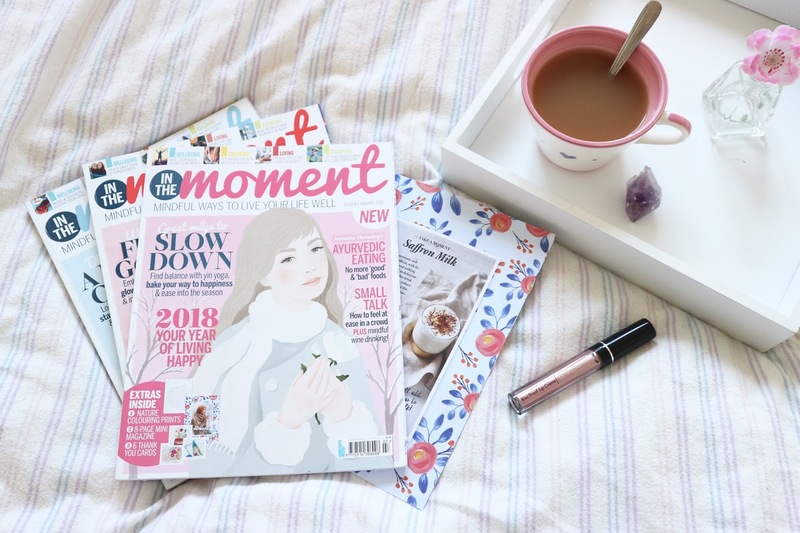 Reading the In The Moment magazine has introduced me to so much and really broadened my horizons with new topics as well as fulfilling my current interests, fuelling and expanding them. Unlike other magazines that I pick up and forget, In The Moment holds my attention and I will read it from cover to cover, several times over. Reading content that is passionate and written by people who are invested in the topic, makes each article that much more interesting and I respect the content that much more. An important aspect about this magazine for me personally is that it feels like it has integrity, it's not laden with advertising and sponsored content. Yes of course, there is some advertising, that's how magazines survive, but what is there feels thought out, considered and selective. You don't find an advert every other page and when it is included it is not in your face. It's subtle, and you can see there's been careful thought put toward making sure the advert is relevant for the content, and in keeping in with the design of the magazine as a whole too. What makes this magazine so special isn't just the thoughtful and diverse written content, but also the physical content included too. Each issue includes a mini A5 pull out magazine with a short story, puzzles and a recipe or two, ideal for your handbag. 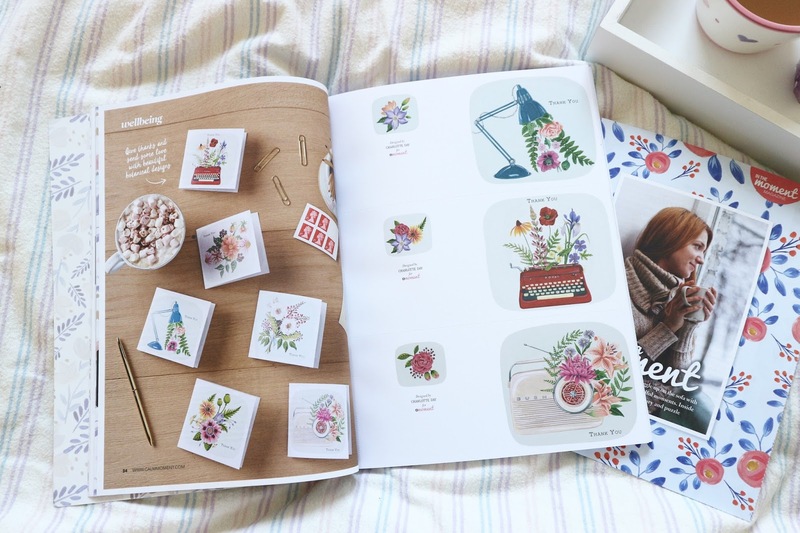 Alongside that, each issue also has bonus creative additions to tear out, from beautiful designed bookmarks, gift tags, mindful colouring sheets and even int he January issue, a 2018 inspiration board complete with stickers and motivational cards. A lot of these inserts are created and designed by small businesses and creatives, just another way you feel the team of In The Moment have really put thought into the positive messages they are putting out and how they support others. Finally, it would be an injustice not to mention the quality and design of ITM. The entire magazine is made from FSC certified paper and completely recyclable (no glossy, plastic coated and unrecyclable 'paper' here!) I'm collecting mine as I love them so much, and each issue is also available in digital format. This publication is exquisitely designed, illustrated to perfection with beautiful colour palettes and detailed layouts. Recently ITM have been trailing two cover formats, their traditional illustrated cover and a photo cover. I vote for the illustrated every time, it gives the magazine a unique twist and makes it eye-catching stand out from all the typical 'women interest' magazines that are plastered with celebrities, glossy photos and highlighter headlines. I've had several people see my copy and exclaim over how beautiful the magazine is. ITM is available in large supermarkets and newsagents such as large Sainsbury's, WHSmiths and also via their online store and each issue has an RRP of £5.99. Well worth it in my opinion. Notes: ITM mag has a sister magazine called Project Calm, a mindfulness magazine curated around creative projects and DIYs. Post on that to come soon. There publications joint website (http://calmmoment.com) is well worth a check out too!